Il Poggione is Montalcino’s fourth largest estate and is considered by many wine critics to be one of the most reasonably priced and cellar worthy wines on the market today. ll Poggione has a reputation for making consistent and stylish Brunello di Montalcino. 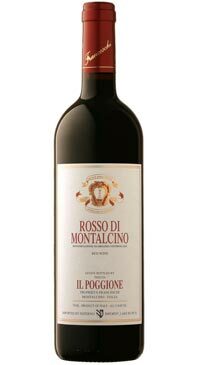 Rosso di Montalcino is a younger, more accessible version of Brunello. The wine is produced entirely from Sangiovese Grosso grapes from the youngest of the estate’s vineyards and is aged for 12 months in large barrels before undergoing a period of bottle ageing. Red berry fruits mingle with savoury notes while the palate is vibrant with approachable tannins. A wonderfully balanced wine and very versatile partner to many Italian inspired dishes.